Nursing - La Salle University | Philadelphia, Pa. In the complex and ever-changing health-care field, the role of nurses is vital and continues to expand. 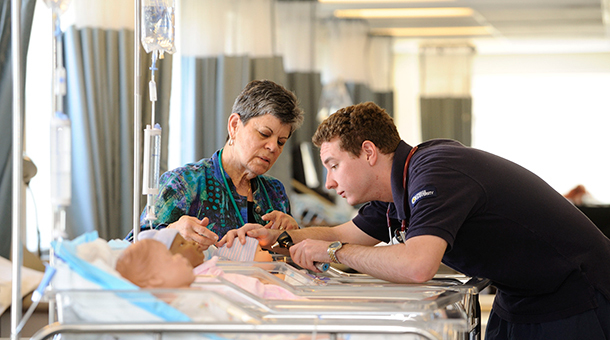 Interaction with a skilled, caring nurse can lead patients to a healthier life. La Salle’s Nursing Programs provide students with a strong foundation that allows them to build a career in the wide range of professions available to nurses today. La Salle students have the opportunity to learn from faculty who are known nationally and internationally for leadership and scholarship and to gain firsthand experience in a variety of clinical settings, from community clinics to large health systems. With a focus on compassionate care for the most vulnerable populations, La Salle’s Nursing Programs prepare graduates to make a difference in their communities.